We are very pleased to announce we have received new funding in relation to our Counselling programme from both the Englefield Charitable Trust (£2,000) and Berkshire Community Foundation (£8,280). To help residents develop short to long term goals. Residents presenting with complex needs, often linked to their experiences of being victims of abuse themselves, and plans to generally stay at Elizabeth Fry for a period of between 3 and 6 months plus the temporary nature of their residency in Reading, meant that they could not access support in this area whist at the Approved Premises. The fact that this aspect of their own recovery and rehabilitation was effectively “on hold” whilst they were at the Approved Premises was observed to be counterproductive to the overall aims of their residency. This additional funding will support our programme and further enable the good work of our main counsellor, Ann Collins. 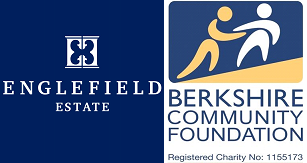 A big thank you again to Englefield Charitable Trust and Berkshire Community Foundation!